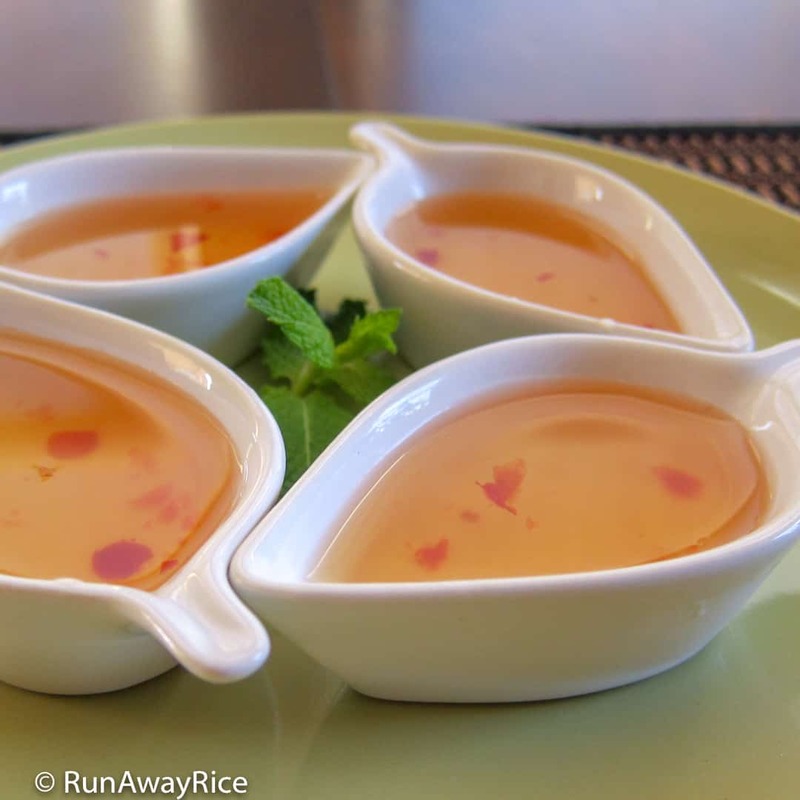 This 7up Vietnamese Fish Sauce Dipping Sauce (Nuoc Mam Cham) recipe is super easy and tastes awesome. My shortcut ingredient is lemon-lime flavored soda. The soda has just the right combination of citrus and sugar making a nicely balanced fish sauce dipping sauce. 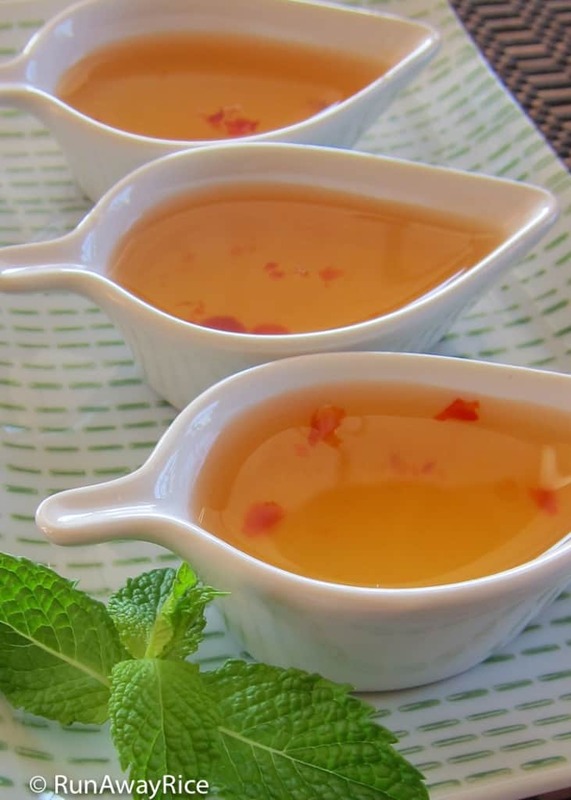 Just add fish sauce to your taste and voila, the perfect 7up Vietnamese Fish Sauce Dipping Sauce. An awesome fish sauce dipping sauce recipe is one everyone should know. It’s a staple condiment accompanying many Vietnamese dishes and is enjoyed as a dipping sauce, marinade, and dressing. The traditional Fish Sauce Dipping Sauce is amazing but if you’re pressed for time and can’t get all the fresh ingredients, this shortcut recipe utilizing a few pantry staples will save the day. Lemon-lime soda is something I always have on-hand. The chili garlic sauce is another shortcut ingredient. The sauce replaces both chopped fresh red chilies and garlic. Who says shortcut recipes have to sacrifice great taste? I hope you give this recipe a try and share your results with me! Combine all ingredients in a medium bowl. Allow 30 minutes for the fizz in soda to deflate before serving. Enjoy with your favorite spring rolls, eggs rolls and other dishes! Refrigerate any remaining portions of 7up Vietnamese Fish Sauce Dipping Sauce in an air-tight jar or container. Enjoy within the week.